On May 1, 2015, more than 800 individuals filled the gardens at Skyland Trail for the 15th annual Arts in the Garden to kick off Mental Health Month and celebrate the strengths and talents of individuals living with a mental illness. Skyland Trail hosts the event annually, and many other organizations in Atlanta’s mental health services community participate. This year we were honored to have Georgia First Lady Sandra Deal visit as well. Throughout the day, guests enjoyed a wide range of visual arts on display and for sale as well as live performances – all from individuals living with mental illness. An Artist Market with 45 participating local vendors sold unique arts and crafts including fine art paintings and drawings, jewelry, ceramics, hand-dyed scarfs, hand-crafted candles, natural soaps, and homemade jams. The main stage was filled with live music and spoken word performances from the mental health community, including the Skyland Trail Alumni Band, Youth Villages – Inner Harbour Drummers, and the Community Friendship Inc. Choir. Throughout the day, guests also enjoyed an art gallery, art demonstrations like yarn spinning and a pottery wheel, and a plant sale in the greenhouse. The day included four-legged friends as well. Happy Tails Pet Therapy brought pet therapy animals to Arts in the Garden – dogs and bunnies. Wandering through the Skyland Trail gardens, guests also encountered a therapy pony, tropical birds, and a petting zoo. Proceeds from the event benefit the artists who are living and thriving with a mental illness, including bipolar illness, major depression, schizophrenia, and anxiety disorders. Arts in the Garden is a project of the unique adjunctive therapies program at Skyland Trail, which includes horticultural, process art, product art, music, and recreational therapy. Led by caring professionals who are experts in their fields, adjunctive group sessions help clients find new ways to express their thoughts and emotions, learn new skills, build confidence, and interact with their peers and the community. Auldern Academy is a therapeutic boarding school offering an excellent academic curriculum and outstanding clinical program in a warm, nurturing environment. Young women who succeed at Auldern are academically capable students who most likely have completed some prior therapeutic or wilderness program and bring with them an awareness of, and willingness to continue to address personal issues. Our goal is to prepare young women academically, emotionally, and socially for the challenges of the coming college years. Auldern Academy offers a fully accredited, college preparatory 9th – 12th grade curriculum. Our small class sizes allow students to benefit from a high level of teacher interaction and support to help them reach their full academic potential. Our dedicated faculty members are skilled at working with students who have been diagnosed with ADHD, low working memory and processing speed, executive functioning difficulties, and other learning disabilities. Led by Master’s level clinicians, Auldern Academy’s Clinical Services Program is built upon a gender specific, evidence based curriculum designed specifically to help young women in their quest for confidence, emotional health, and relational healing. Our clinicians are skilled in the areas of CBT, DBT, art therapy, and expressive art therapy – allowing students to benefit from an array of therapeutic methodologies. Students receive weekly individual and group therapy, and participate in multiple experiential workshops. In addition to monthly family therapy sessions with Auldern clinicians, families also benefit from access to Certified Parent Coaches and on-campus Parent Education Workshops. Auldern’s Student Life department strives to create a nurturing and caring community, filled with activities, camaraderie, and fun. Evening enrichment classes include yoga, horseback riding, guitar, photography, and fitness opportunities. Our newly developed College EDGE program offers Auldern graduates an opportunity to enhance their independent living skills through attending community college, maintaining a part-time job, and living in one of our on-campus apartments. Students learn to balance the demands of young adulthood while continuing to have the support of Auldern staff during this critical transitional period. May 22nd is the deadline for pre-registering for the Utah Conference. at the Heritage School located in Provo, Utah and we look forward to seeing you there! Are you interested in participating as a conference sponsor or exhibitor for the Utah Regional Conference? Description: Learn about the 4 core mindfulness practices for overcoming the negative effects of stress on mood and the body’s immune system. This workshop will examine key research on how mindfulness has been proven to be helpful for learning in the school setting, as well as beneficial for teachers and staff. Explore how in minutes a day it is possible to cultivate a greater sense of brain balance, peace, calm, clarity,and constructive distance from emotional reactivity. Session 3 – What’s New in Licensing? Note: Continuing Ed hours are not available for these sessions. 4:00 PM – 4:30 PM – Open Discussion: Ideas to Improve Case Management Skills as an RTC nurse. Continuing education credit for NATSAP’s 2015 Utah Regional Conference is co-sponsored by the National Association of Therapeutic Schools and Programs and the Institute for Continuing Education. The program offers a total of 7.00 contact hours. Continuing education credit is awarded on a session-by-session basis, with full attendance required for the sessions attended. There is no additional fee to receive CE credit. CE applications will be available on site. Special thanks to our conferences exhibitors and sponsors. Every detail of our family owned therapeutic boarding school, also licensed as a residential treatment center, is designed with the unique needs and the goal of empowerment for girls age 13-17 in mind. From the sensitivity of our individual therapy and group process to the bonds we nurture between girls and horses in our nationally renowned Horsemanship Program to our intensive family workshops, we work to promote lasting change and healthy stable transitions. Sedona Sky Academy has a specialized and talented team of clinicians. We are uniquely designed, at a ratio of 1:8, to serve girls struggling with: substance abuse, trauma, attachment issues, adoption, learning differences, body image issues, mood disorders, underachievement and impulsivity. Our team has successfully reunited 1500 daughters with their families. Our lush campus in the Verde Valley of central Arizona creates an ideal setting for exercise, play and reflection. A lazy creek runs alongside our western border and leads to three southern colonial-style mansions, a full-size soccer field and track, and a pasture which houses a herd of horses. Students live in three comfortable, home-like dorms that are named after the trees that line our campus – Juniper, Willow and Sycamore – each with its own library and team of residential and clinical staff. 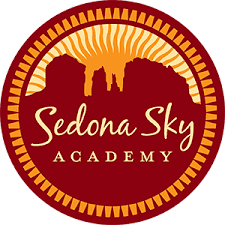 Sedona Sky students benefit from a well-respected college preparatory academic program known for above national average testing scores and 100% college placement. Students have access to secure computer labs, libraries and specialized Learning Support. Students as Sedona Sky Academy receive a multitude of off campus experiences including sports, hiking, and travel such as trips to Washington D.C. Presidential Classroom, Shakespeare Festival in Utah, and service missions in Los Angeles. Upcoming trips include camping trips in the Utah, horseback riding in the Grand Canyon and numerous community service opportunities. It’s that time of year again! Membership renewal is ramping up, please check your e-mail (including your spam folder) for your membership renewal letter. If you are planning to pay by check, the pdf link is embedded in the e-mail and must be filled out and sent to the NATSAP home office. If you have any questions, please feel free to e-mail info@natsap.org or call (301) 986-8770. BIRDSEYE RTC: “Early Tuesday morning, May 12, 2015, we received a call that our vacant building 2 miles north of the RTC was on fire, and it quickly became a total loss. We are saddened by the loss of the building – one that we had remodeled and planned on expanding into within 2 weeks. Mostly, however, we are profoundly grateful that the building was unoccupied, and at no time were any of our residents or staff in any danger. We wanted to ensure that everyone knew that the RTC was never in harm’s way. Because of the proximity, and the similar names, sometimes Birdseye RTC is confused with the Birdseye Boys Ranch – an older, closed program that used to occupy the building that burned down. Several news stations have reported on this fire as being the Birdseye Boys Ranch, and we wanted to clarify the situation. We hope this information helps to calm any fears or concerns as to the safety of our residents and staff.